Telugu is one of the languages of the southern Indian states Andhra Pradesh, Telangana and a Union Territory Yanam. It stands third in the number of native speakers in India. Telugu is a Dravidian language which is very expressive and one of the regular languages of the world. 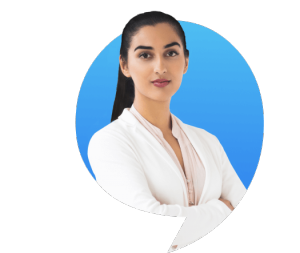 Well over 75 million people in the world speak Telugu. Learning Telugu Alphabets is the basic foundation for learning Telugu script. Telugu in olden days was usually known by different names like Telengu, Tenungu, Telings. Telugu is famous mainly for its vowel ending sounds which helped it gain dominance in Karnatic music. Rajeswara Sarma stated about the historicity and content of Kanva’s grammar in Sanskrit. During the 16th century in the reign of Vijayanagara Emperor- Sri Krishnadevaraya was considered as the Golden Age of Telugu. Telugu was declared as the official language of the State of Andhra Pradesh by The Andhra Pradesh Official Language Act in 1966. Telugu Alphabets are known as “Varnamala” which are broadly characterized as ‘Acchulu’ and ‘Hallulu’. Telugu alphabets can be made into sets by considering the shape of them. 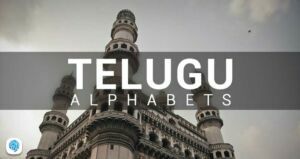 Out of the 50 letters in the Telugu Alphabets, there are a total of 14 Acchulu (Vowels) in Telugu. These are the independent alphabets which have vowel sounds like a, u, o. These are produced by comparatively open configuration of the vocal tract, with the vibration of the vocal cords but without audible friction. Except for ‘అం’, All other Telugu Alphabets are produced by the free flow of air through the mouth without being blocked by the teeth, tongue and lips. Hraswamulu : These alphabets don’t require any stress to speak. Dheergamulu: These alphabets require some stress to speak. When we add the ‘Acchulu’ to ‘Hallulu’ we get a new word with a unique sound. You can use our free learning app which helps you to come across a lot of Telugu Alphabets, phrases and practice lessons to improve your Telugu basics.